America has officially entered the “coal cost crossover,” according to a new report by environmental firm Energy Innovation, which finds that local wind and solar could replace approximately 74% of the United States’ current fleet of coal-fired power plants at an immediate cost savings to consumers — a figure which is expected to grow to 86% by 2025. 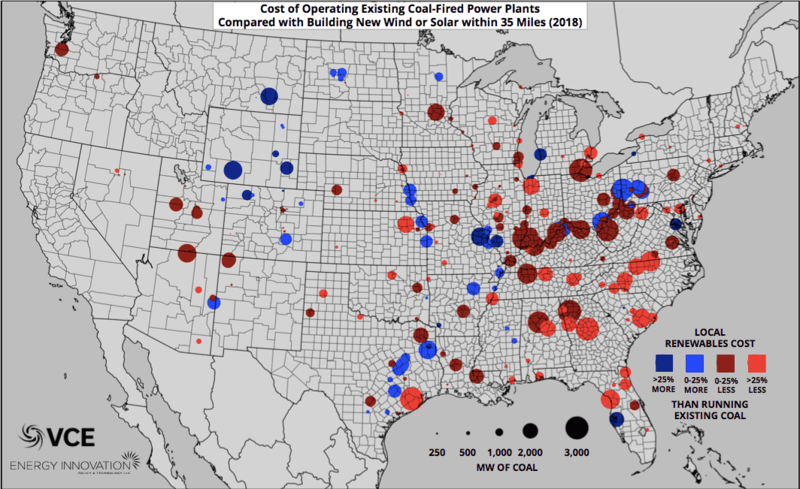 Energy Innovation, in partnership with grid analysis company Vibrant Clean Energy, published its new report on Monday, entitled The Coal Cost Crossover: Economic Viability of Existing Coal Compared to New Local Wind and Solar Resources. The report found that new wind and solar resources are cheaper than 74% of the United States’ existing coal fleet. 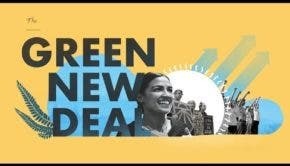 “Coal generation is at a crossroads in the United States,” write the authors of the report, “or more precisely at a ‘cost crossover’.” This is due primarily to the “rapid recent cost decline” in wind and solar technologies which has plunged in recent years and is not only comparable in price to fossil fuels like coal and gas in many parts of the world, but is actually cheaper. Specifically, the research found that, in 2018, the combined fuel, maintenance, and other going-forward costs of 211 gigawatts (GW) of existing coal capacity, or 74% of the national fleet of coal plants, was at risk from local wind or solar that could provide the same amount of electricity at a cheaper price. By 2025, the level of “at-risk” coal is expected to increase to 246 GW — 86% of the country’s fleet of coal-fired power plants. It’s worth noting, too, that the report’s definition of ‘replacing with local wind or solar’ is not an abstract notion, but specifically refers to the ability to replace coal with wind or solar “within 35 miles of the existing coal plant” at a saving to customers. The report also concluded that, in 2018, 94 GW of existing US coal capacity was deemed to be “substantially at risk” from new local wind and solar that could undercut costs by at least 25%. This “substantially at risk” figure is also expected to rise to 140 GW by 2025 — almost half the country’s fleet of coal-fired power plants — despite the fact that federal renewable energy tax credits are being phased out over this period.